I actually made this a while ago, but I’ve had to wait for a gap in the rain to get some photos before I could post it! 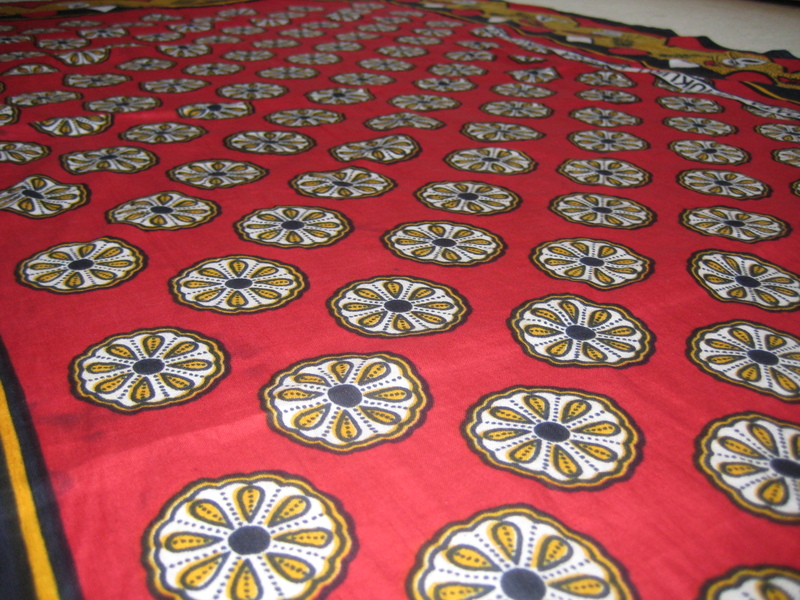 I bought this sarong while on holiday and I really love the colours and geometric print. It’s actually pomegranates with a border around. I wanted to wear it more but living in rainy Manchester there isn’t much opportunity for wearing beachwear! I thought about cutting it up to make a knee length skirt but didn’t want to lose part of the print. 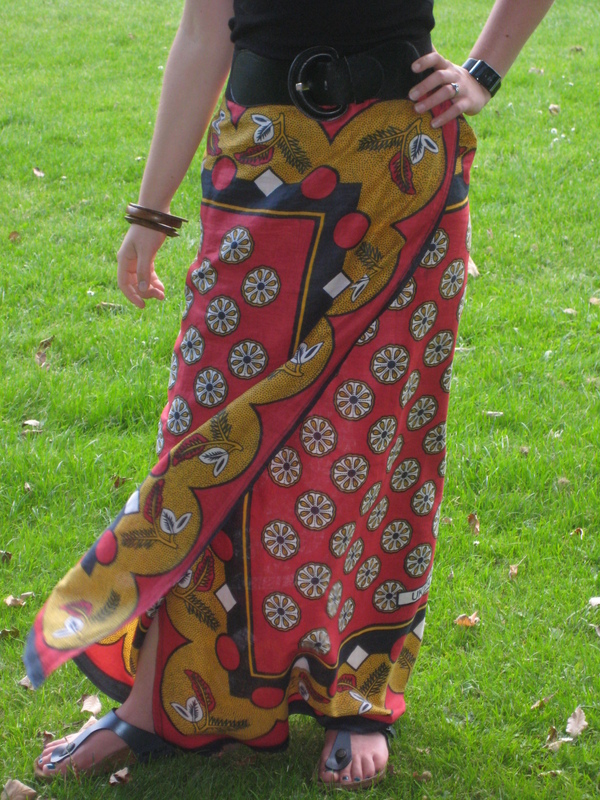 So I have turned it into a maxi skirt by stitching in 6 buttonholes and adding 2 buttons. 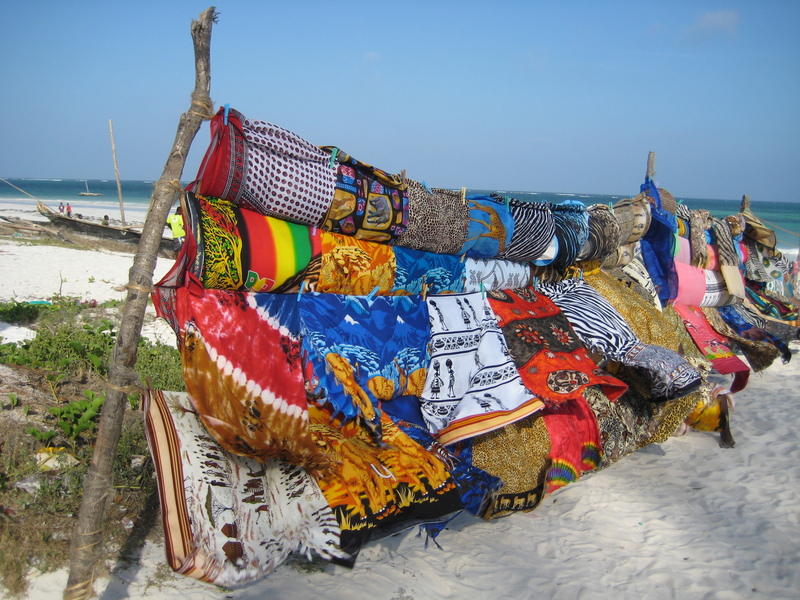 The cool thing about doing it this way is I can still use it as a wrap or a sarong when I go on holiday! The sarong measures just over 1.5 times my hip measurement and was floor length when held up to my waist, so I didn’t need to shorten it at all. 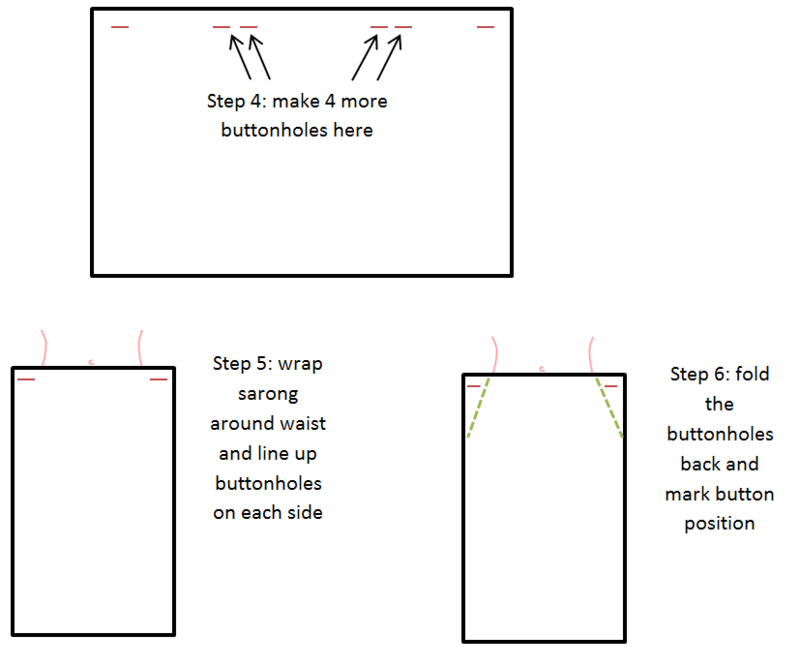 If you want to make your own version any rectangle hemmed all the way round to the right size to fit you will do. 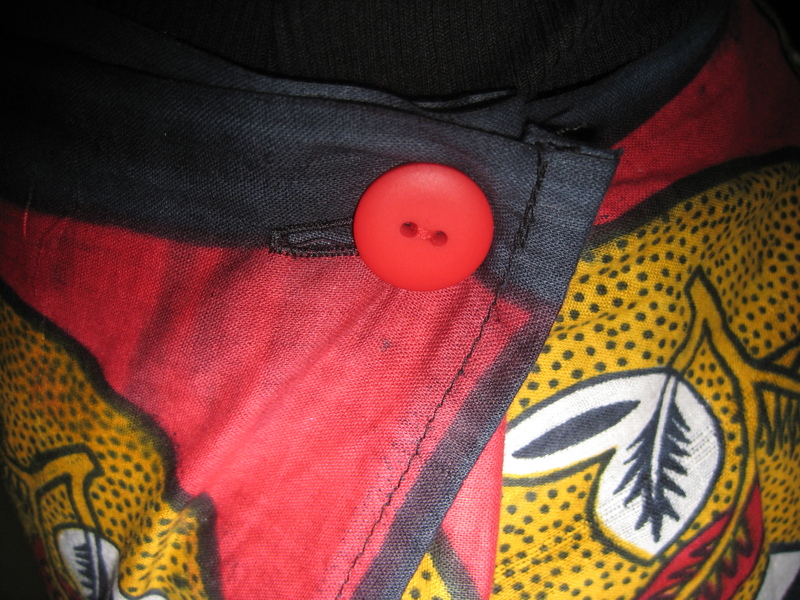 To wear just wrap the sarong around and put each button through the 3 buttonholes on each side. 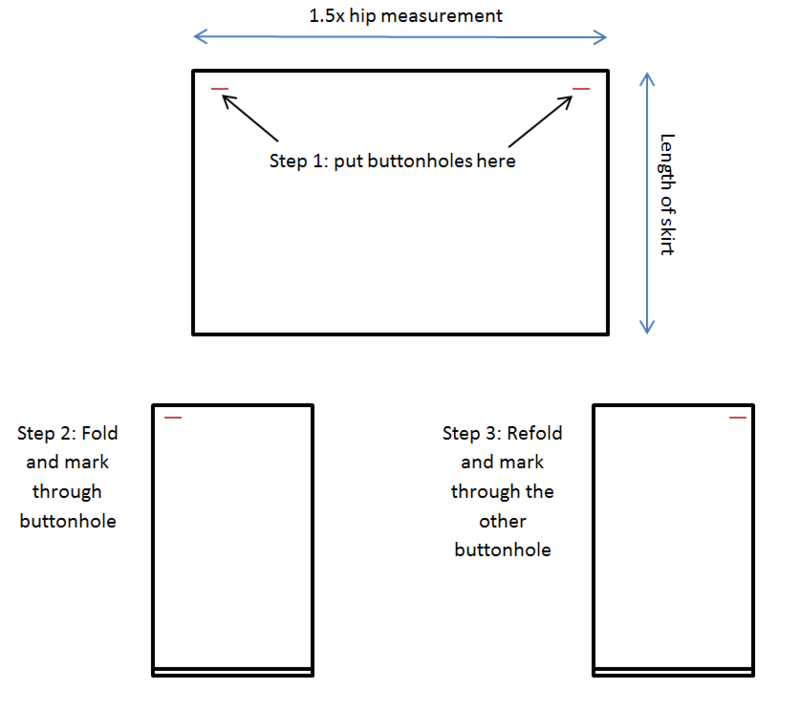 I have put some diagrams below to help you make your own. 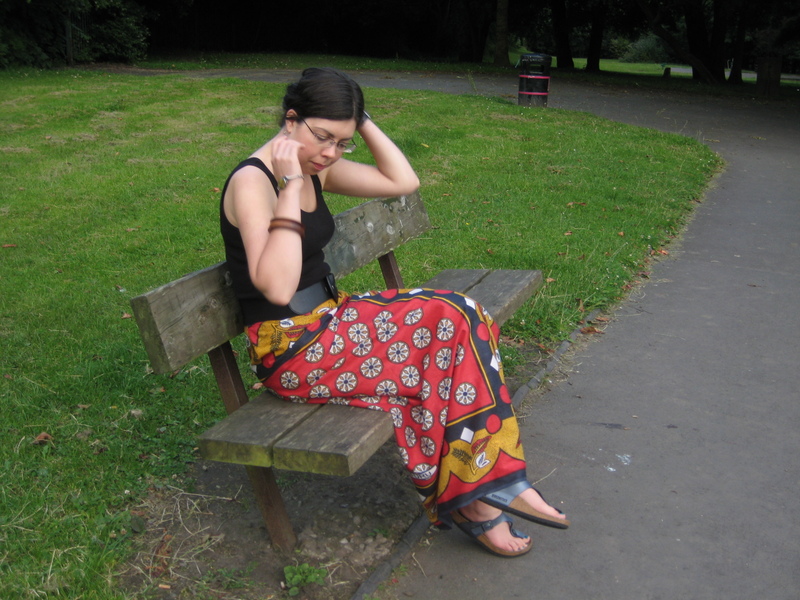 Pictures of the actual sarong weren’t too clear due to the red/black colour combo!